It seems to be something wrong with the image picker widget, the orientation and portrait fields aren't even showing up on firefox now. I have moved your comment here so that we can address the issue of the widgets not being shown to you while also help you with the conditions in the mean time. I will raise this to our developers and as soon as there are any updated we will let you know about them through this thread. Change your image URL's from non-HTTPS to HTTPS as I've mentioned to the original thread. Just change "http://i.imgur.com/2N9bj25.png" to "https://i.imgur.com/2N9bj25.png". Hi, thank you for reporting the issue. I wanted to tell you that this problem is fixed now. I apologize for the inconvenience that have caused you. If anything goes wrong again, please report back to us. Thank you! Do you by some chance know what versions of their browsers were they using and what is the approximate time when they have accessed it? I have checked now and it seems to be working OK for me on Chrome on PC. Unfortunately I can not see anything wrong with them. Can you please tell me if they are accessing them directly or if they are accessing them on your website pages? This would give us more details so that we can re-open the thread to our developers and can tell them what to look for. They are accessing them directly from the website. Can you please tell us the link to your website where the jotforms are added then so that we can check them out? I replaced the image url's with https and re-embeded the form, but I just had another user call with the same issue. I'm trying to be patient, but my whole business runs on this form and our customers are getting very angry with us. I really need this resolved ASAP. I was just able to recreate the problem in chrome. I apologize for the inconveniences that you are having right now. Upon checking your website, I get a problem where I am unable to proceed. I also see that you are using Wix in building your website, is that correct? If that is the case please try re-embedding using an iFrame code BUT without the <script> code on it. Example would be below. When you get your iFrame code under "Embed Form" options. 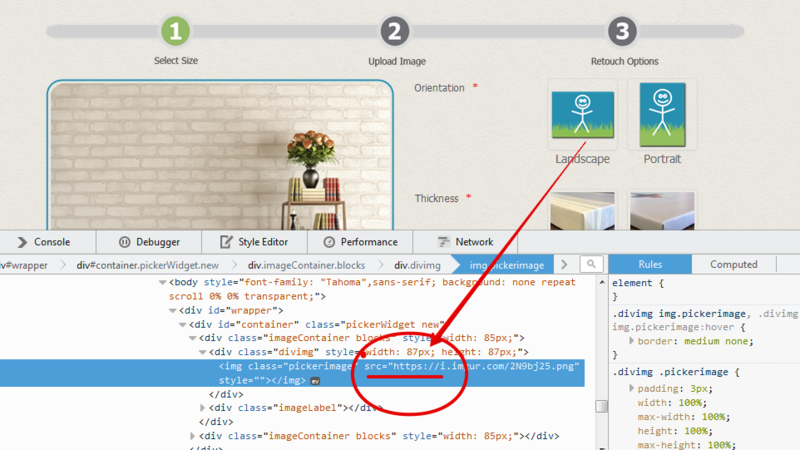 You just need to paste the code wrapped in <iframe> tag in your Wix builder, no need to include the <script> code. Here's my iframe that I'll be pasting in the HTML editor of Wix website. 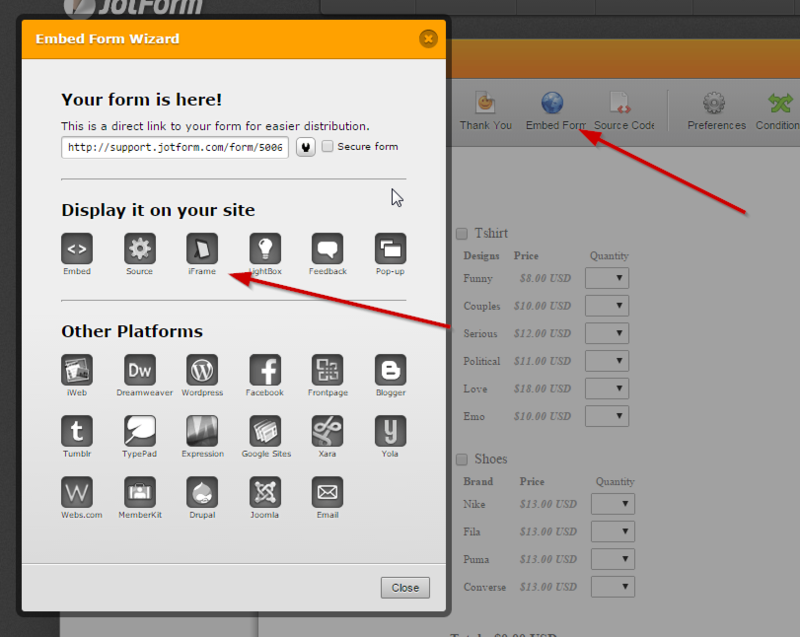 You can also check this guide on how to add the form to a Wix site: http://www.jotform.com/help/70-Adding-a-Form-to-Wix-Site. But please do take note that don't add the <script> code and if you were embedding the form in another iframe please do avoid it. Embedding an iFrame inside another iFrame causes another problem. Please do get back to us if this works. So I did this and it is still not working. Also i took the conditional logic off that would require orientation and thickness to be filled to show sizing and it still isn't showing. If I duplicate the fiel it will show up, but then i would have to redo tons of conditional logic associated with these inputs. The frustrating thing is this has been working fine for months and now for some odd reason it has quit working. Now when I can get it to show the sizing option but none of the rest of the conditional logic is working. As I stated in the beginning this is a conditional logic issue, and I have completely lost my patience with it, try going a week in your business without being able to make any sales! It seems that you are referring to the original post that you have. 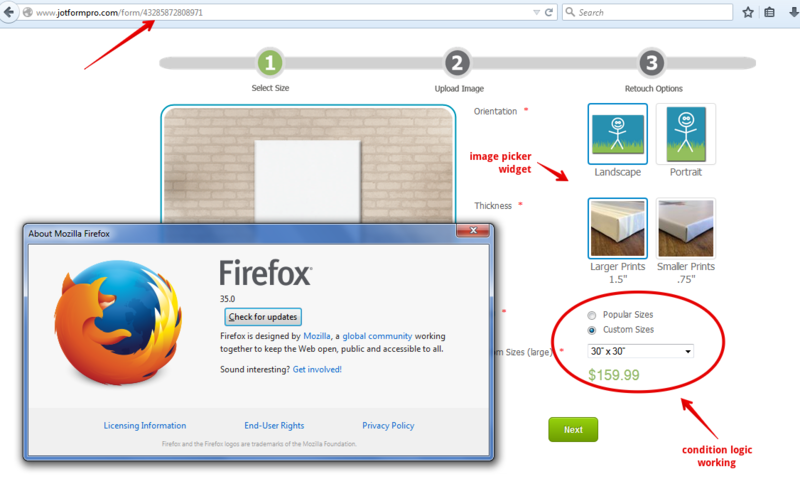 This thread was opened for the issue regarding the Image Picker not displaying in Firefox. I would assume that the last responses that you have here is related to this another thread http://www.jotform.com/answers/496239. I do apologize for the inconvenience that this might have caused you. But, please do refer to the original link so that we can focus on thread for that specific issue and avoid confusion. We will look at the original thread for the issue regarding the Conditions you setup and will respond to it accordingly. I did post it there, but it is hard to tell if the problems are related or not? because the widget fields are being used as part of the conditional logic, and I am not the one that separated these into two separate threads. Let us try resolve the issue about this thread. Just to be clear, the title of this thread says that the "image picker widget is not showing on Firefox"
-- while the original thread where it came from was about the "Condition logic not working for image picker widget"
I made a test on my end using also your jotform http://www.jotformpro.com/form/50155672690962 but I also could not reproduced the problem using Firefox browser. can you please confirm that you cannot do the same on your end when using Firefox browser? It will help us investigate more if you can also provide us with a screenshot on how it appears ony your side. This is the form without the image picker widget, that I made to illustrate that the image picker widget is the problem, this is the form with the image picker widget that isn't working http://form.jotformpro.com/form/43285872808971? it seems to be working on step one now, but when you get to step two it isn't working. The whole thing was working temporarily on Friday, but I got these two emails this weekend along with three phone calls, this is killing my business right now and I am anything but happy about it. 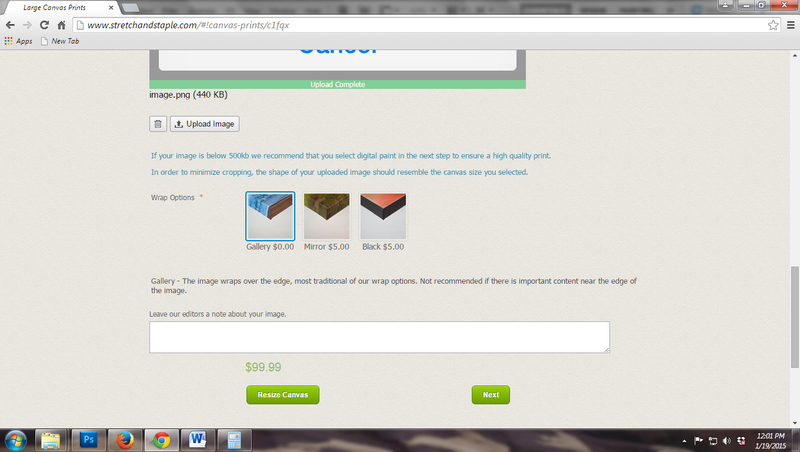 just purchased a Groupon for a 22"x16" canvas print and am trying to upload a high resolution image on your website. 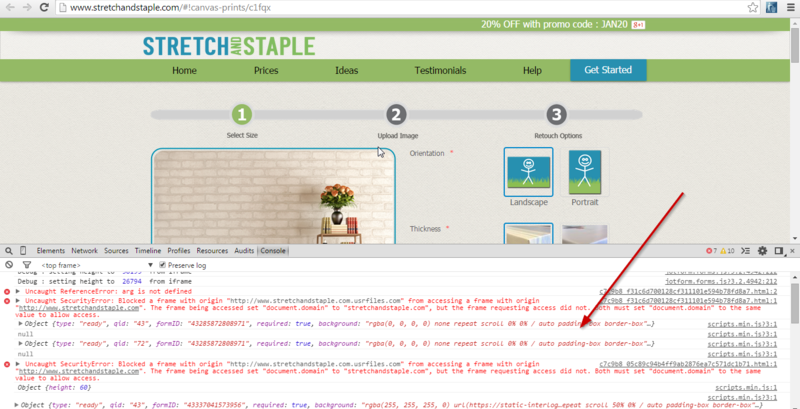 I am receiving errors on the image upload page and as a result cannot complete my order. I tried resizing the image to be exactly 22"x 16" and reupload, but still could not continue with the order (although it appears to have uploaded successfully every time). Please let me know how to proceed. Look forward to hearing from you! I bought a groupon- and your website is stuck on uploading my photo. It requires some tweaking to get the upload to work fully at all, and then once it's uploaded, and I try to click next, it very briefly flashes "There are errors on this page. Please fix them before continuing." Not, of course, pointing out what the actual errors are. Please help! I tried calling and I got a "This number is not accepting calls" message. Doesn't exactly inspire confidence.. I also got this message. I'm not sure if you know what it feels like to get a customer all the way to this point on your website and then not be able to convert them because something out of your control isn't working. Please fix this, and these people went that extra step to email us and tell us about it, many more just went to a competitor. I'm attempting to make my groupon purchase. I am able to get to the second step of uploading my image and selecting my wrap... however, when I hit next, nothing happens. I am unable to complete my order. Can you please advise? Thank you. I do apologize for the inconvenience that this might have caused you. And I understand how you feel. I'll re-escalate this again to our developers so that they can take a closer look. We'll get back to you immediately when we hear a news. There is no might about it, this is causing me much more than an inconvenience. I need this fixed NOW. 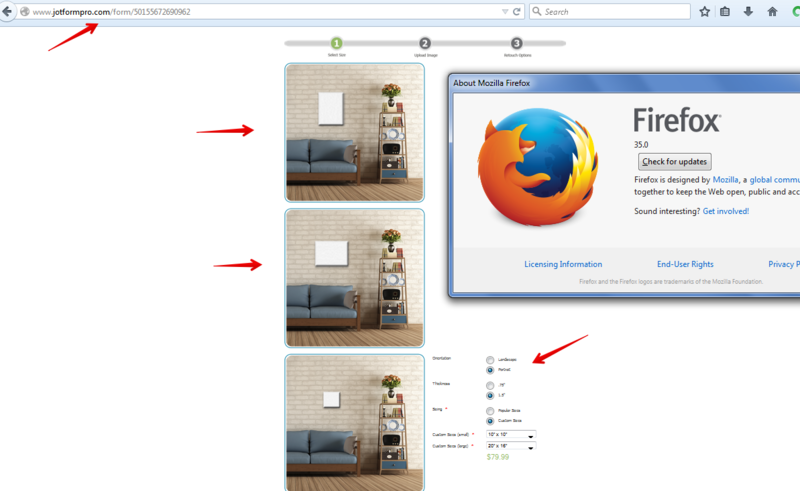 Is there a way for you to share to us the screenshot image how it does not work in your Firefox browser? It will help us check for more details about the issue. As far as on my side, I still could not reproduce the issue. Before we re-submit the issue to our higher team support, we need to be able to find more details about the problem. Being able to reproduced the issue (which I still could not) is a way to know more details. I can't seem to recreate it either, but nearly 50 customers seem to be able to recreate it on multiple browsers with multiple setups, and some of those customers have already used this form multiple times and understand how to use it. The problem now seems to be occurring on step 2, when they upload their image using the image upload preview widget, then the editor notes is suppose to show up and apparently that conditional logic is not working for our users. I don't need you to show me another screen shot of it working, I can't make it mess up either but like I said our customers can, so something is amiss. BUT I did noticed an error in the browser console due to mixed insecure content. 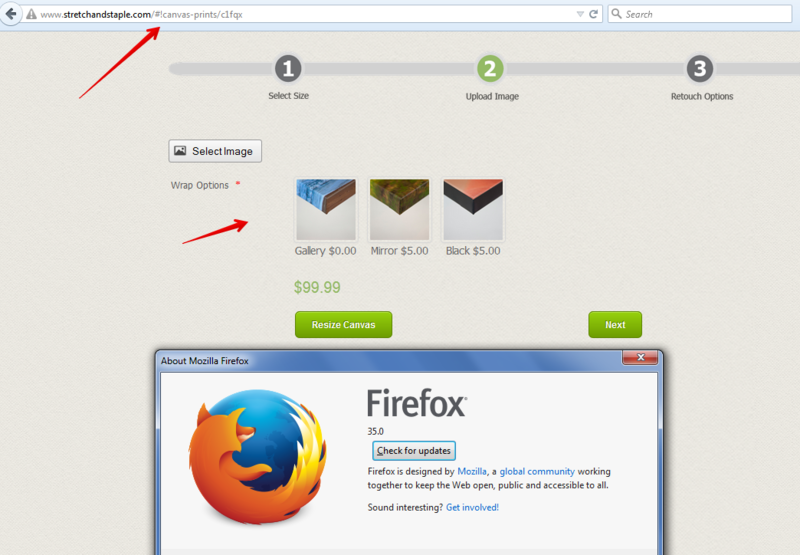 The images you used for the image picker widget is using https URL while it was embedded on a non https web page. Can you try updating the URL of the image also. Use the regular http URL of the images. They used to be non https, you guys are the ones who suggested that I change them to https, and it stopped working when they were regualr http anyway. So I don't think that makes any difference. The problem is still occuring on step 2 I have had several phonecalls about it today, the last user was using chrome on a pc. I even had him clear his cache and it still didn't work for him. It seems to be when they click upload from the image preview widget and it isn't bringing up the editor notes box. We understand the issue and the confusion, which is why we always have only one issue per thread. 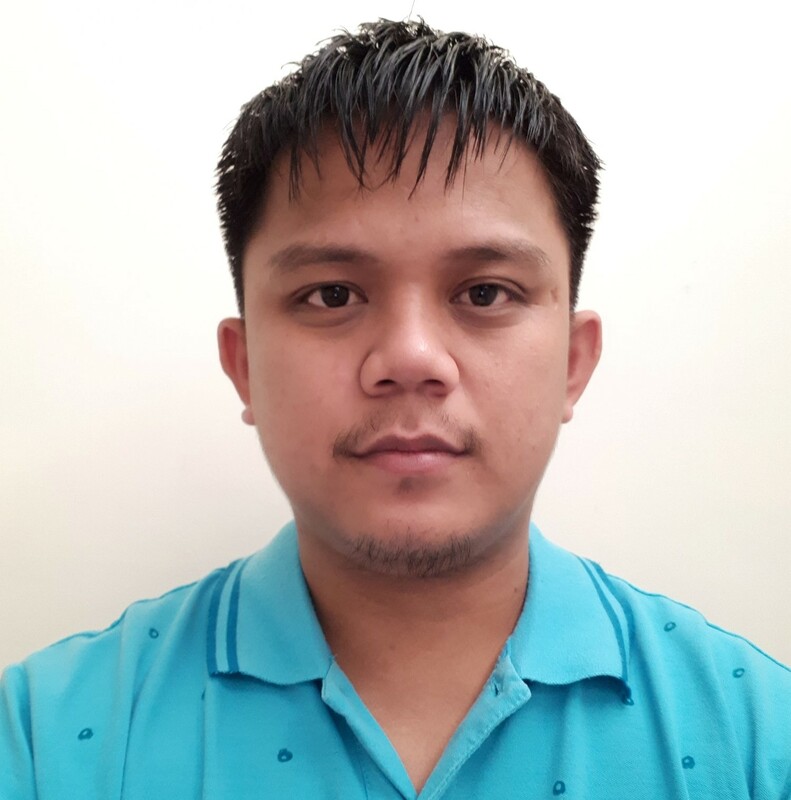 This thread was about the widget not showing up on the thread at all in Firefox, which our developers resolved right afterwards, while the issue that you are experiencing now seems to be quite different. You were correct about imagePicker widget being the problem, but also ImagePreview and we will help you resolve issues on both as quickly as possible so that your business can run smoothly. This is the link to the new thread: http://www.jotform.com/answers/499938. I would like to ask you to leave all further responses there.